Prefab Modular, a spur-of-the-moment band of local superstars. 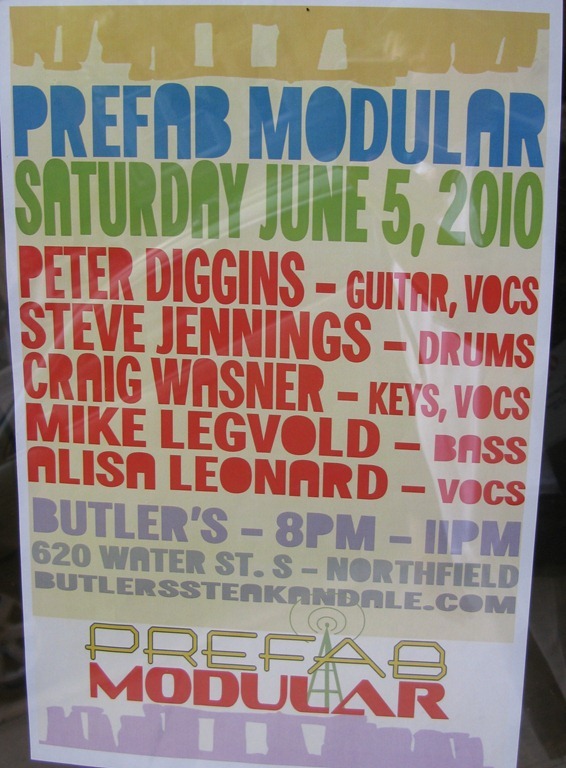 Some local musicians have formed a band called Prefab Modular and are performing Saturday night at Butler’s Steak and Ale, 8-11 pm. The likely members: Peter Diggins, Steve Jennings, Mike Legvold, Alisa Leonard, and Craig Wasner. More details available on the Butler’s blog here.